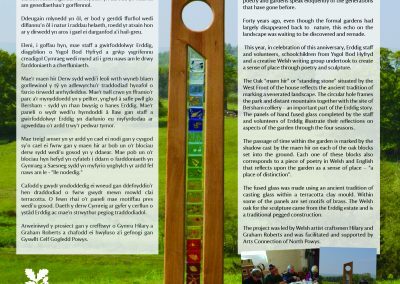 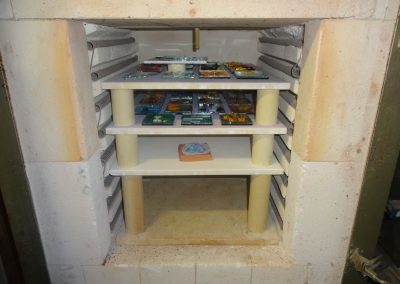 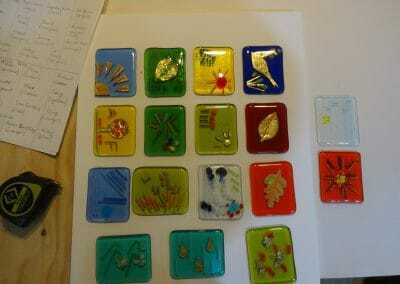 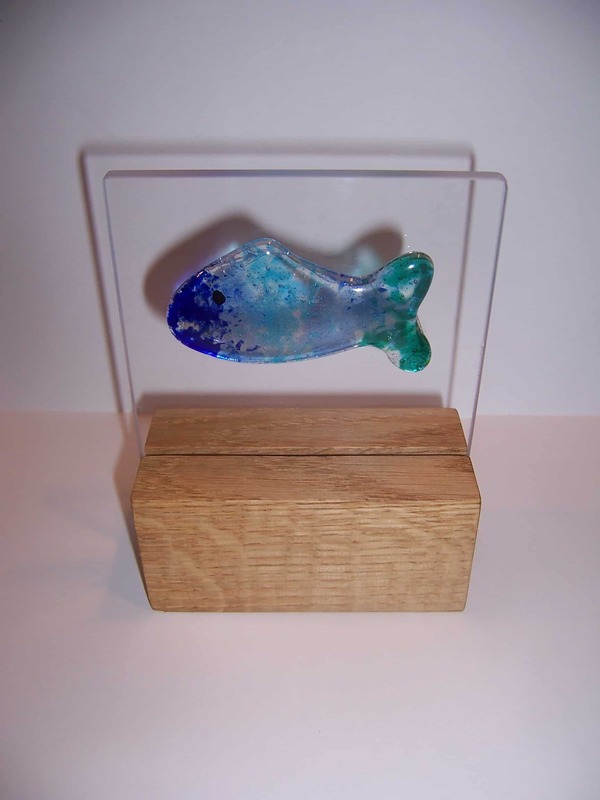 The project involved working with adult Welsh learners and some MAT (More Able and Talented) pupils. 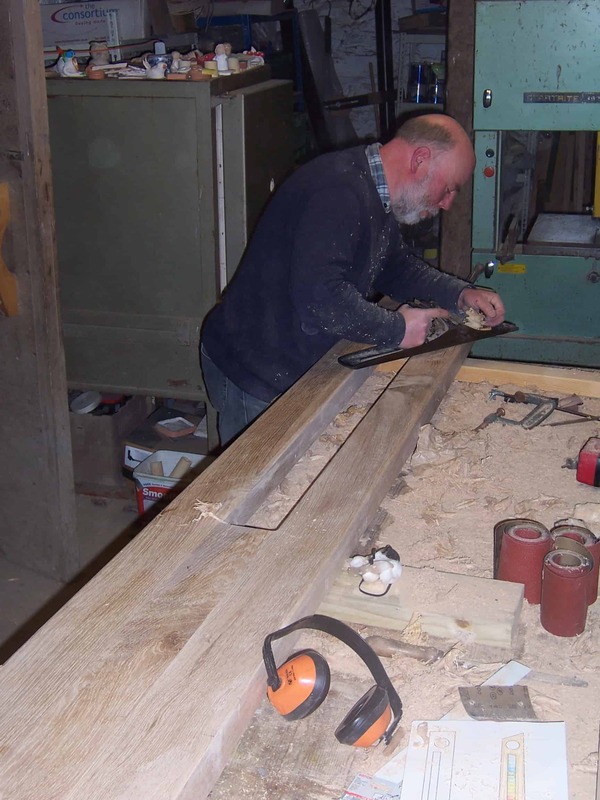 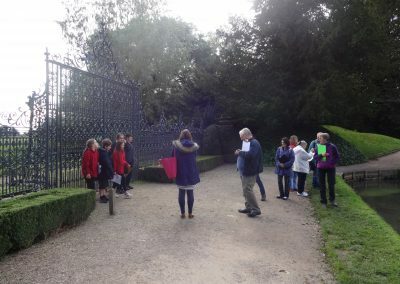 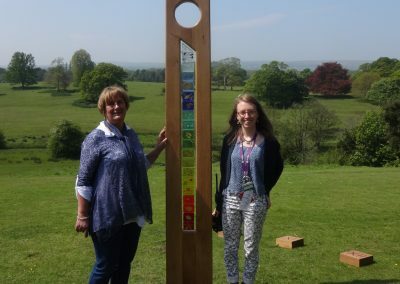 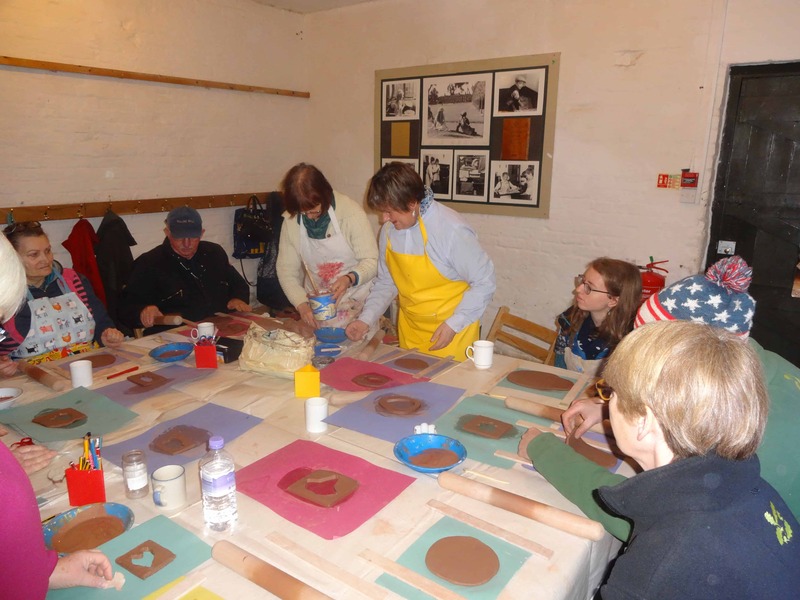 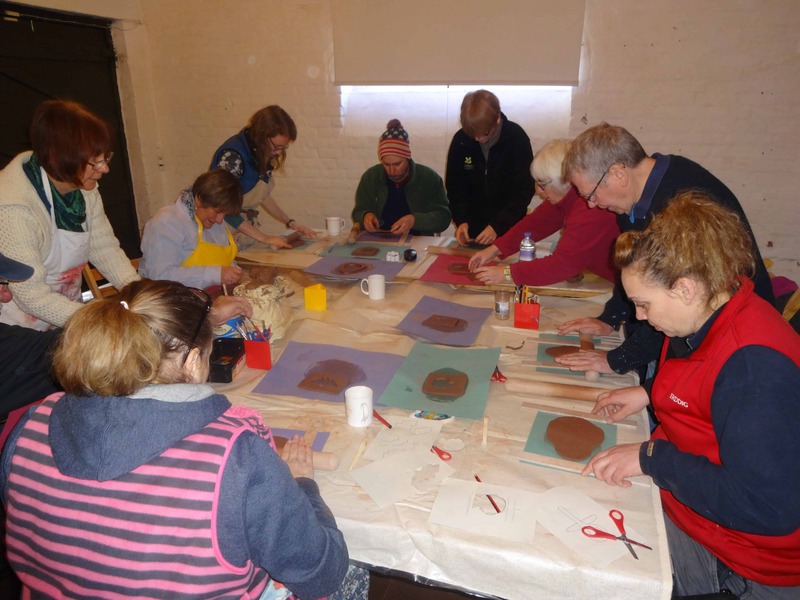 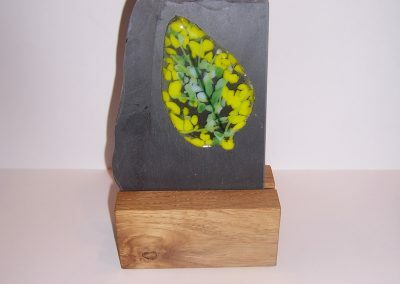 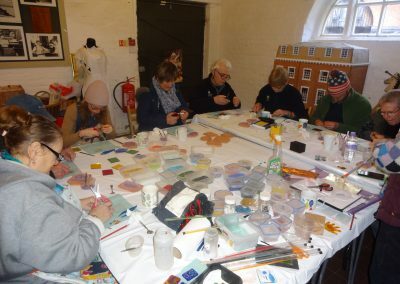 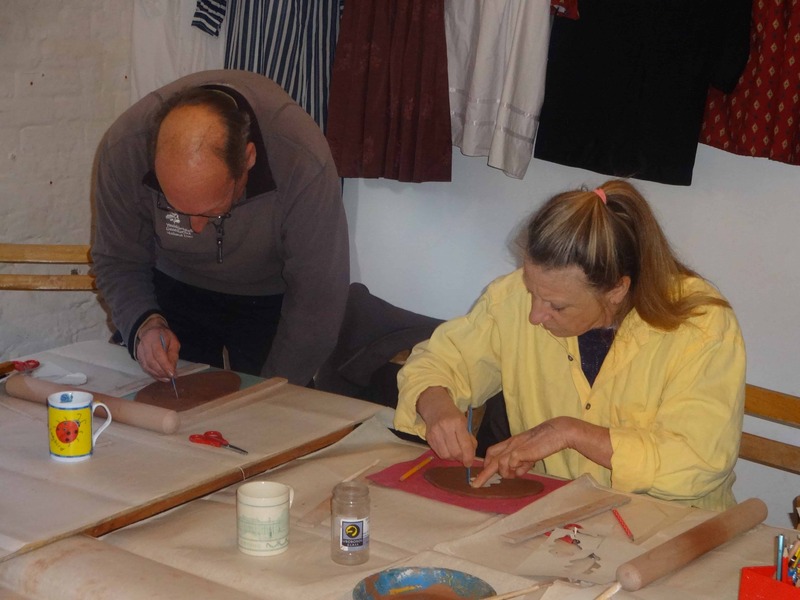 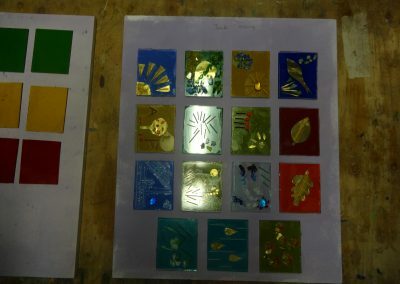 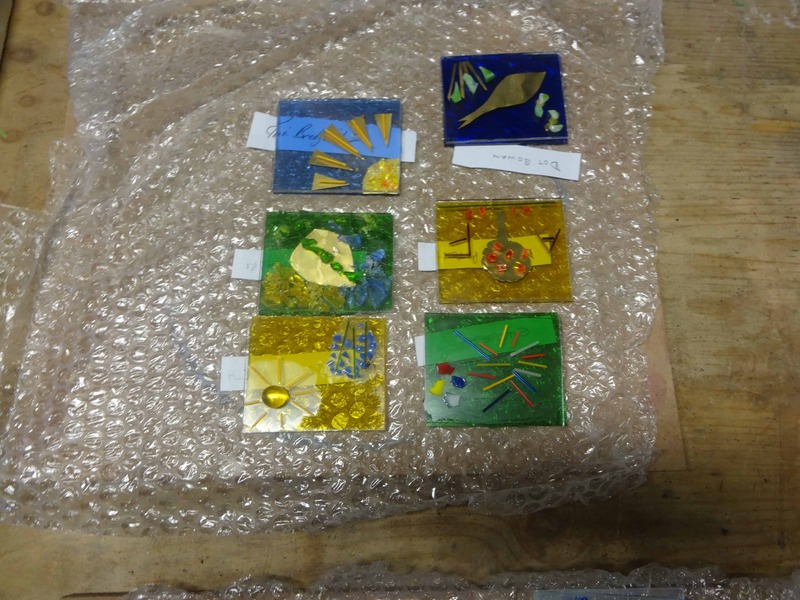 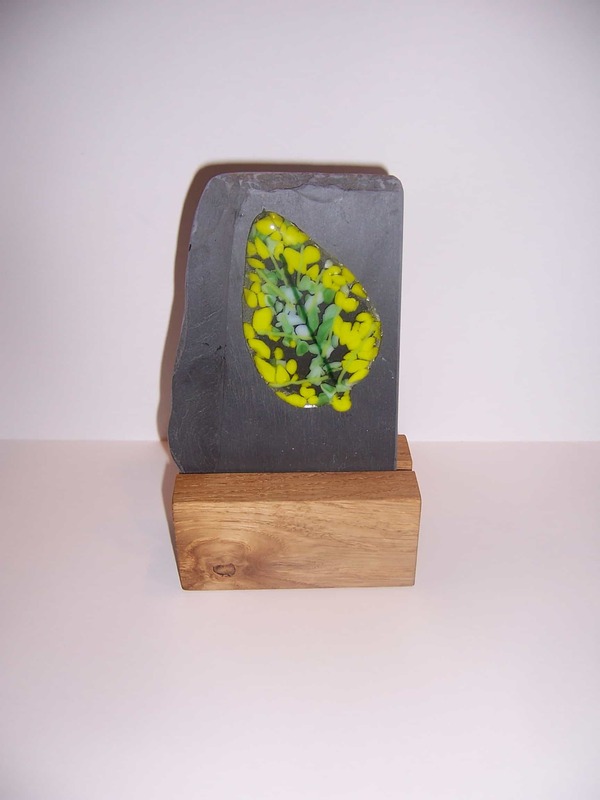 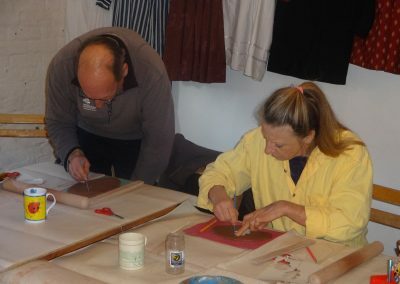 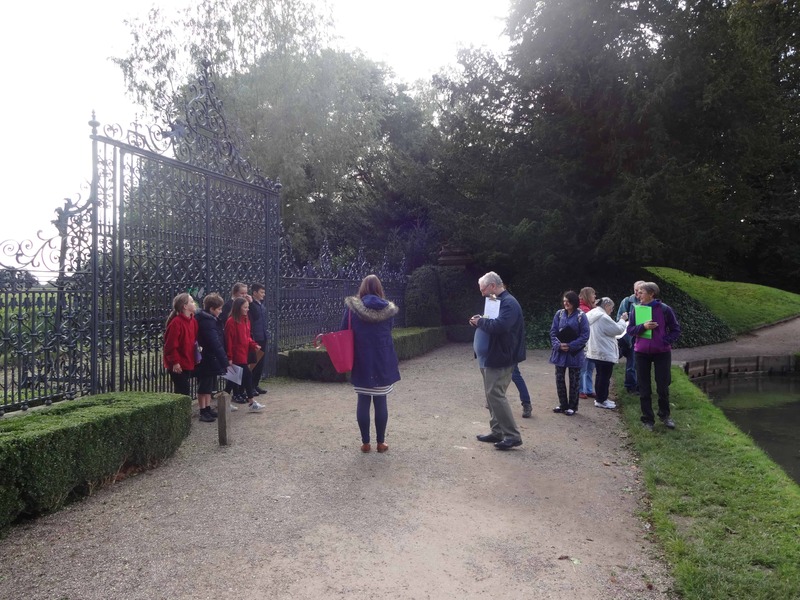 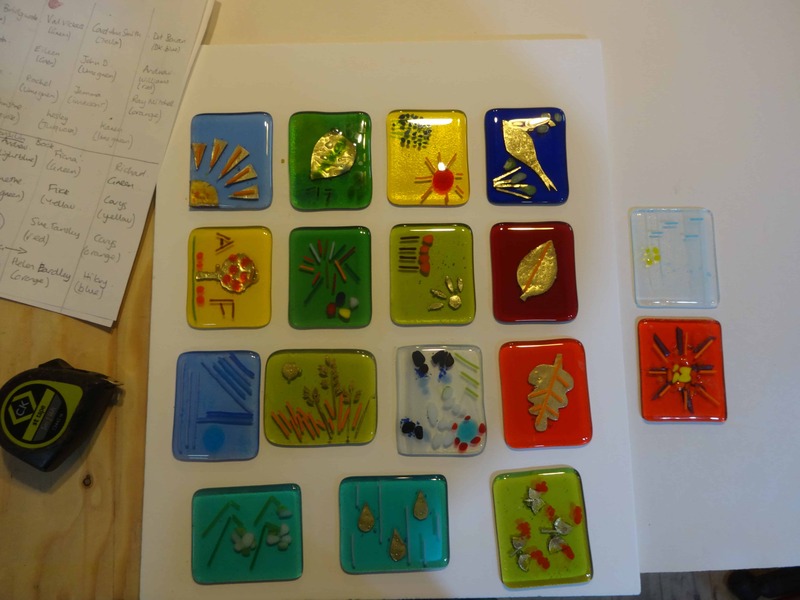 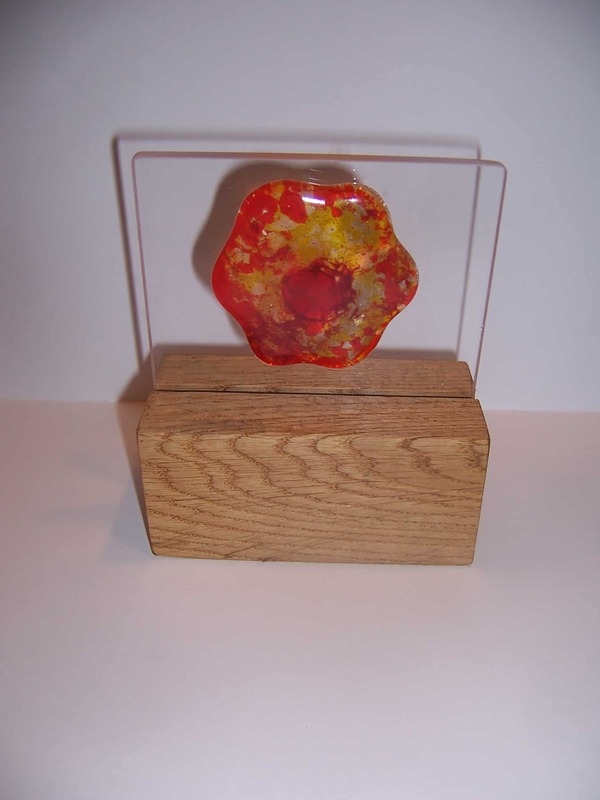 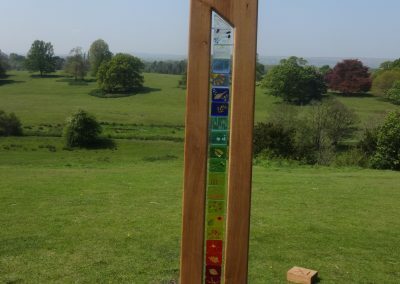 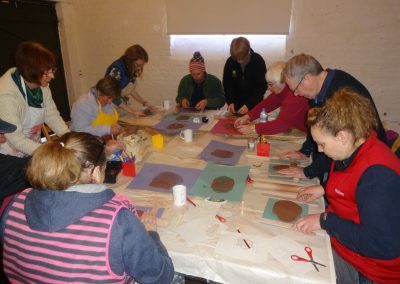 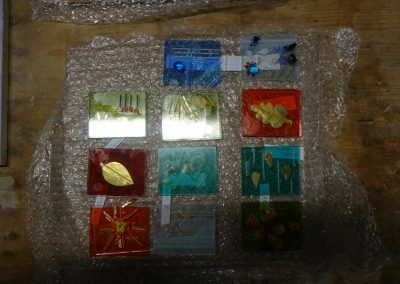 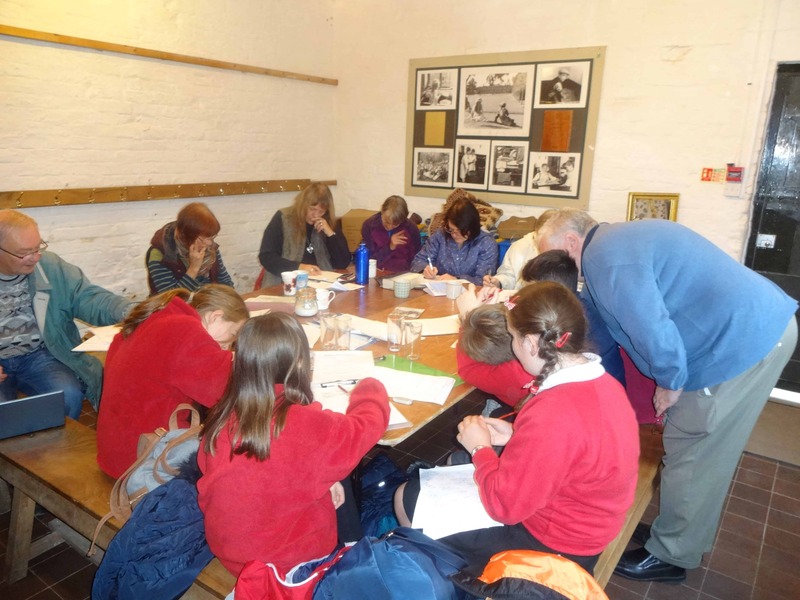 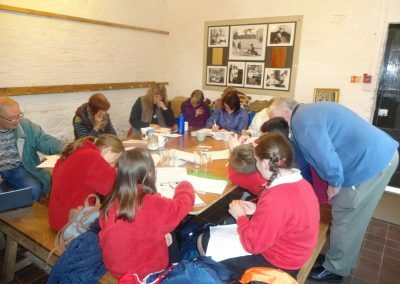 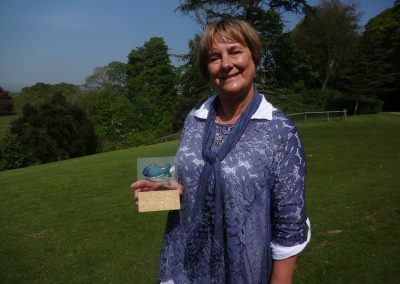 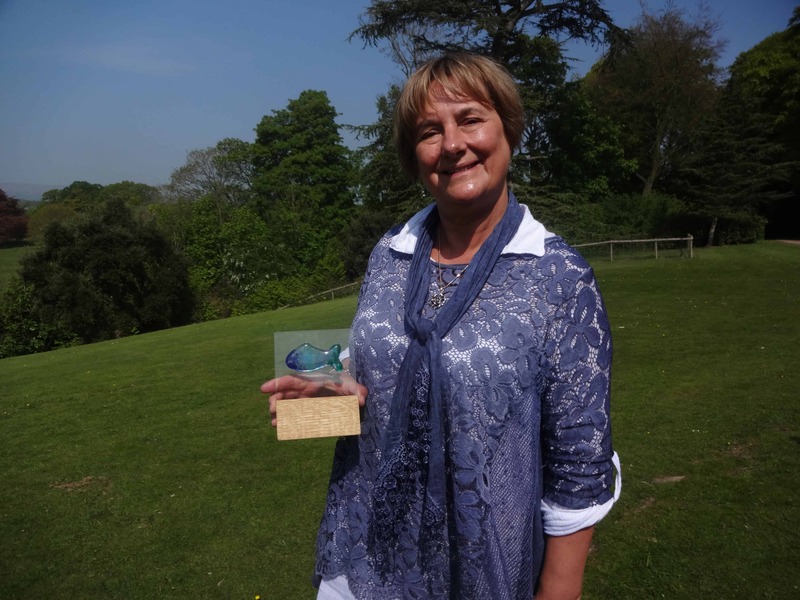 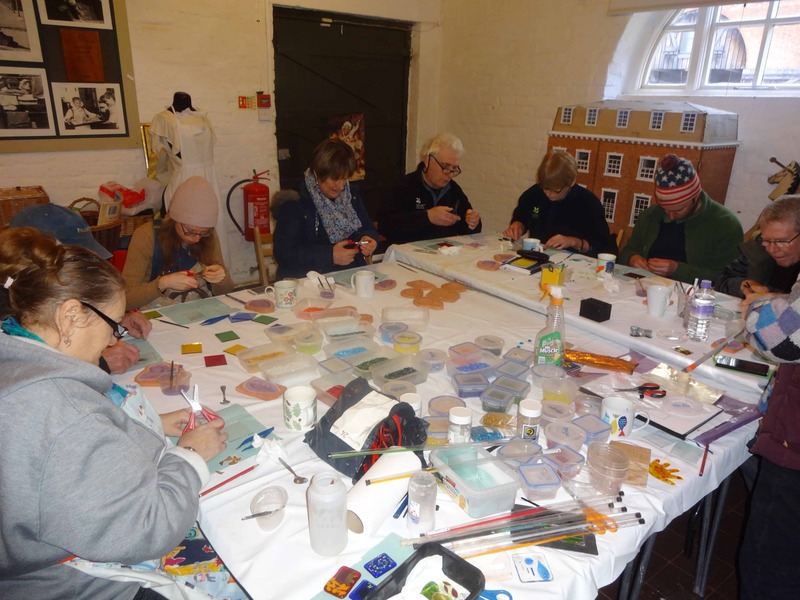 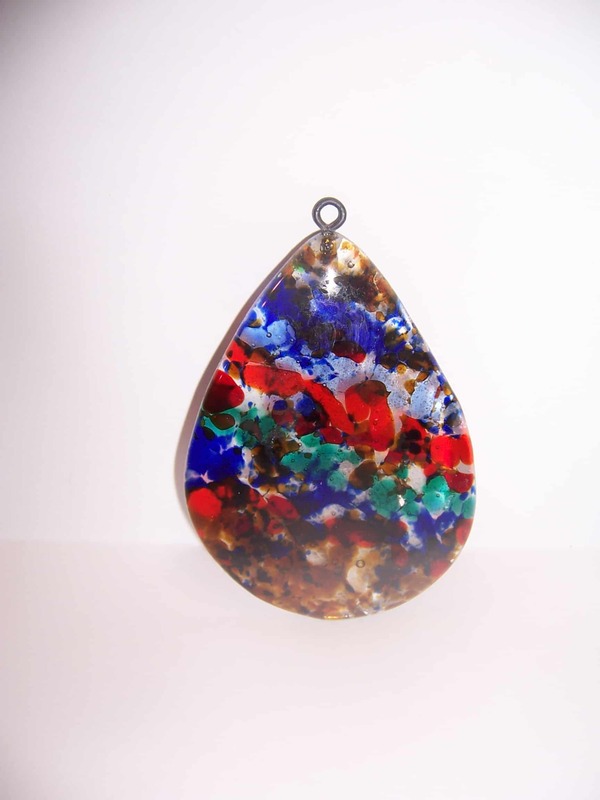 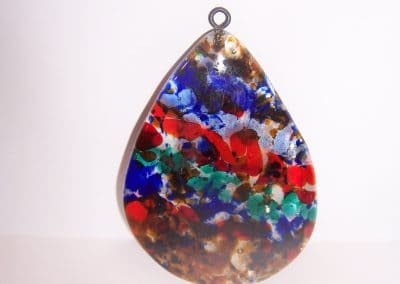 Participants took part in poetry workshops inspired by walking around the grounds of Erddig and Sycharth, they were supported in this by Aled Lewis Evans, as well as Hilary and Graham Roberts who also worked with participants on glass workshops. 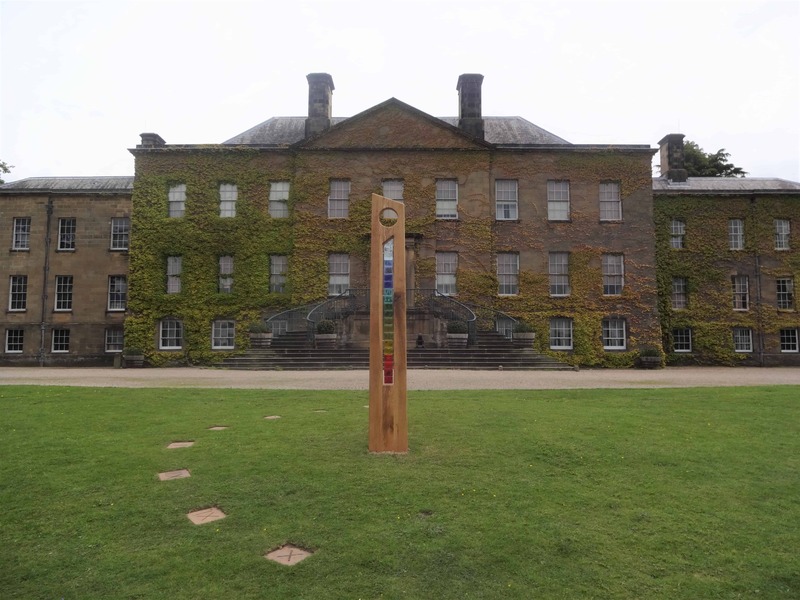 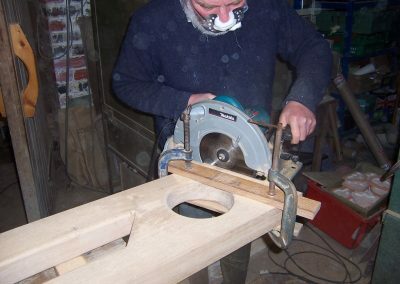 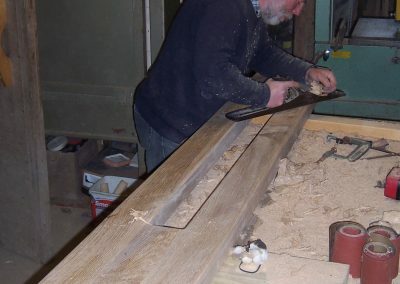 The work created was turned into a permanent sculpture that can be viewed in the Erddig rounds. 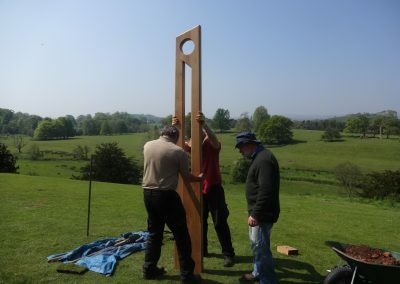 View a time lapse of the sculpture being erected. 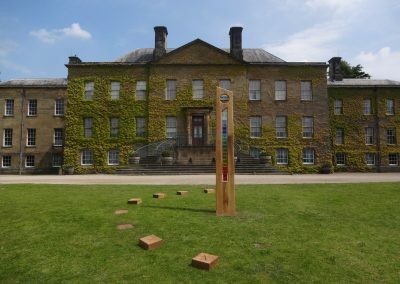 Over the next few months there will be lots of things popping up to help us celebrate the 40th anniversary of Erddig being open to the public. 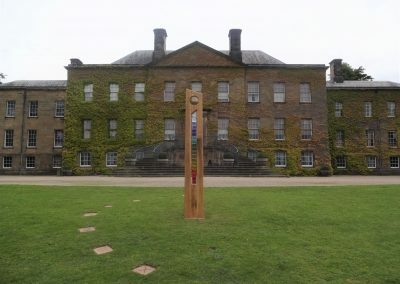 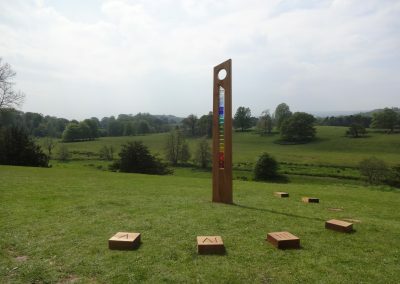 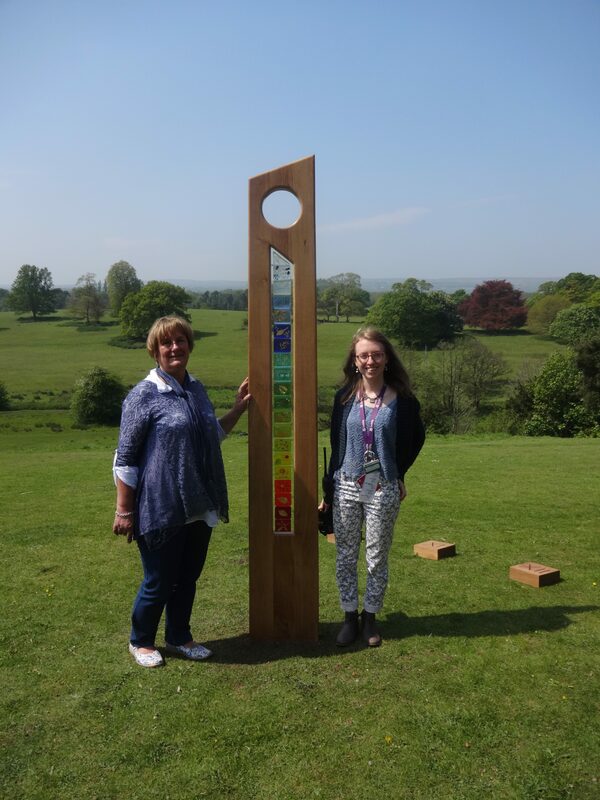 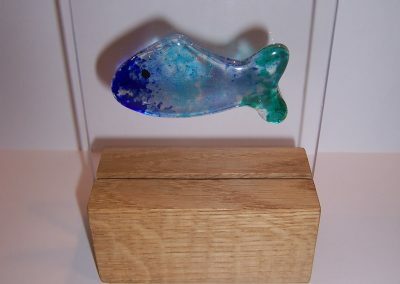 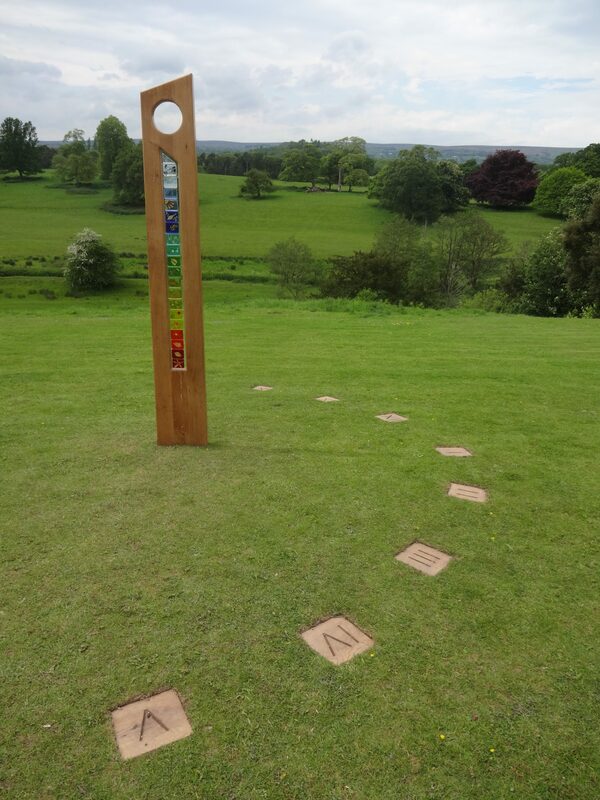 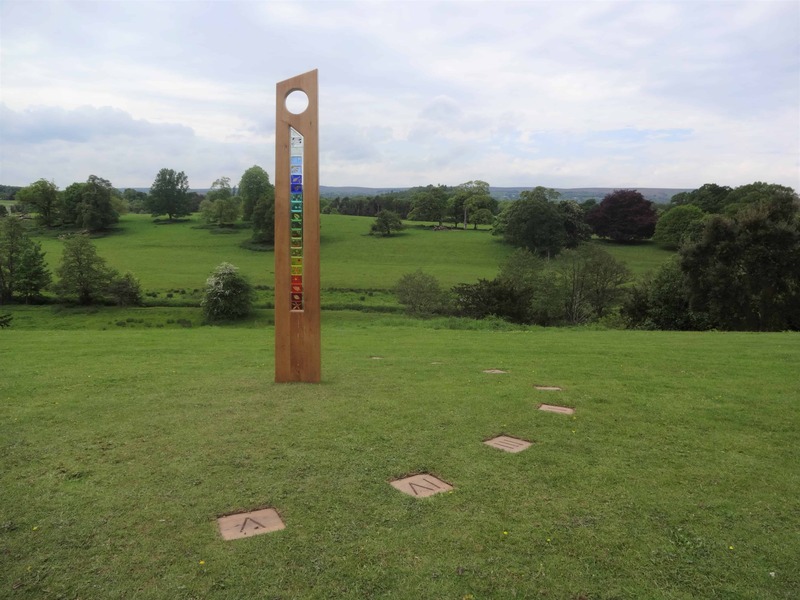 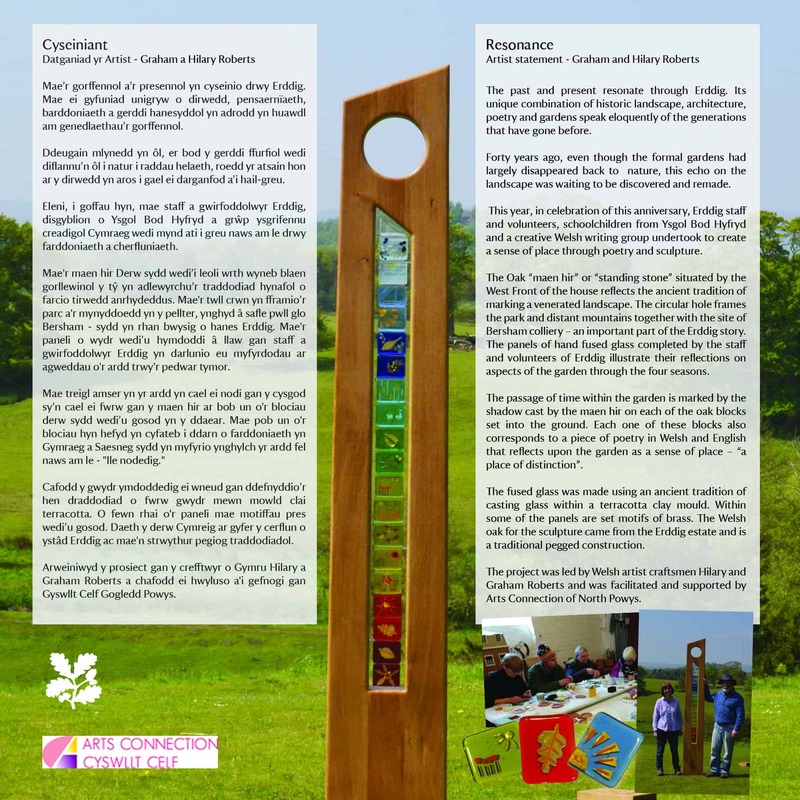 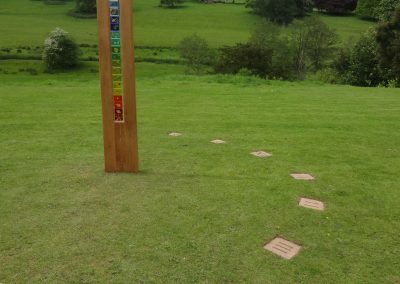 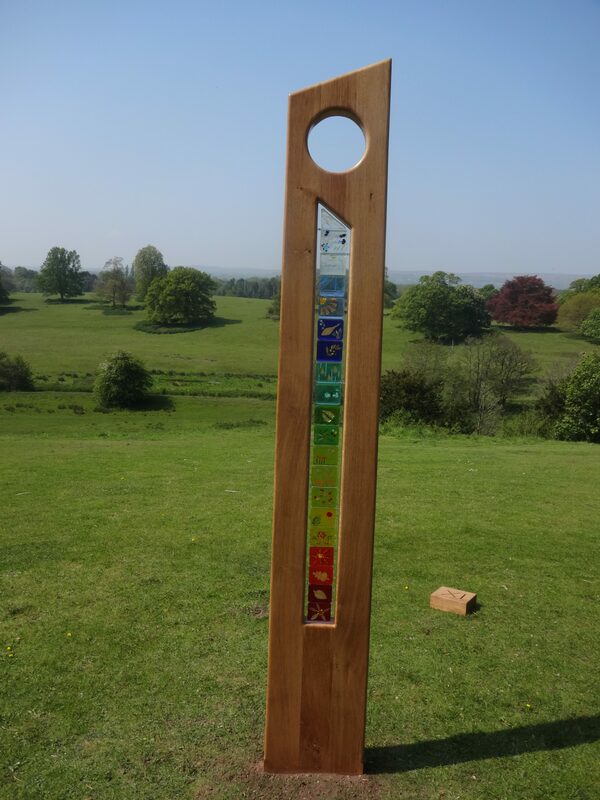 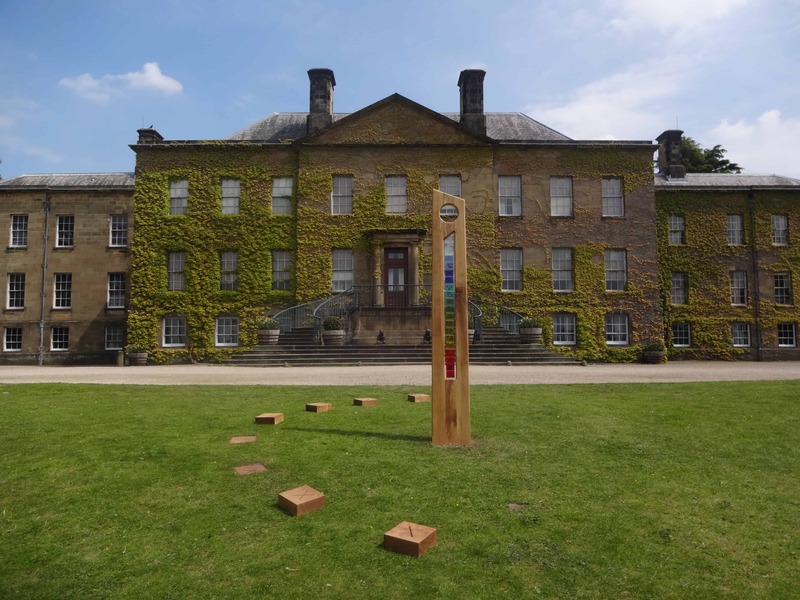 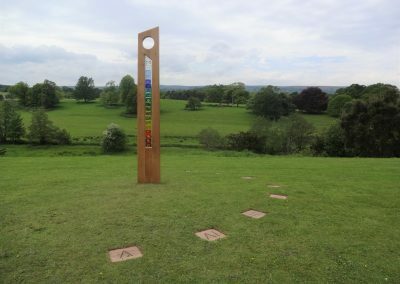 Our first installation is a sculpture created by artists Graham and Hilary Roberts with funding from Arts Connection. 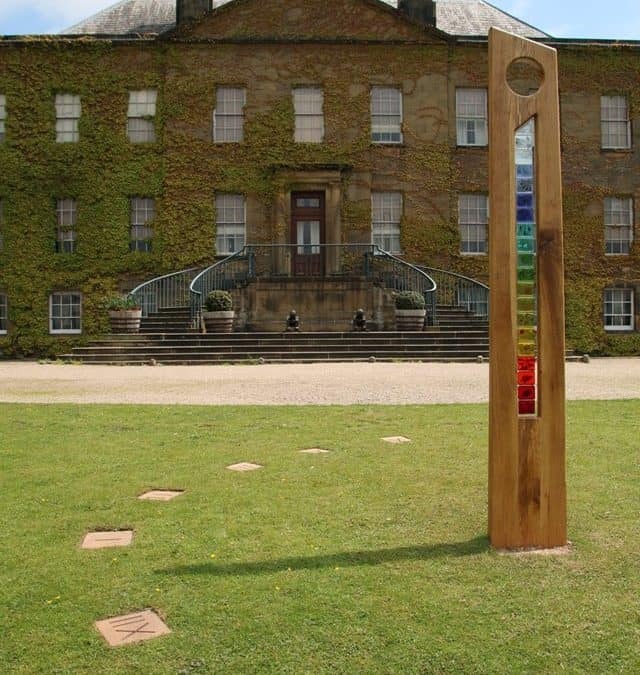 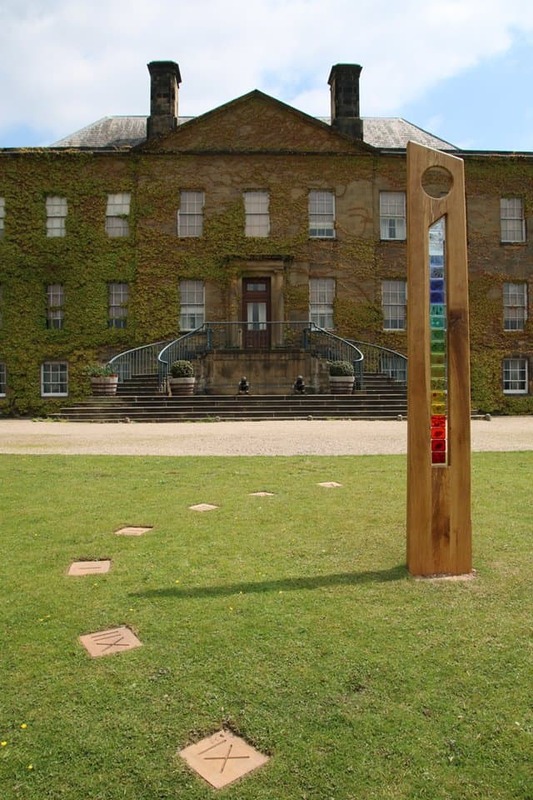 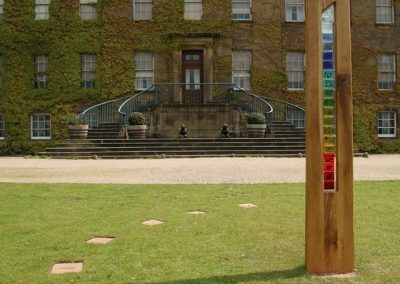 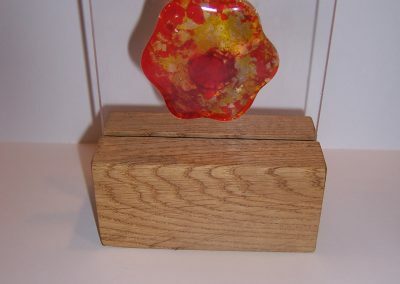 In the form of a sundial, it's made from oak from the Erddig estate with a panel of fused glass created by staff and volunteers at Erddig during workshops earlier this year.With a theme of the passing of time reflected in the shadow of the sundial and also the changing colours of glass representing the changing seasons, the sculpture will be with us for the remainder of the year, creating a focal point on the West Front and marking this special anniversary year. 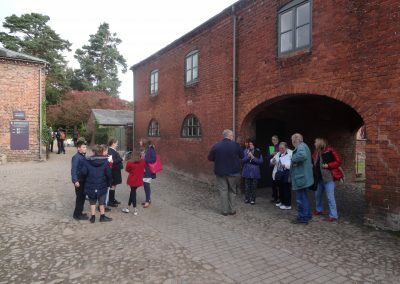 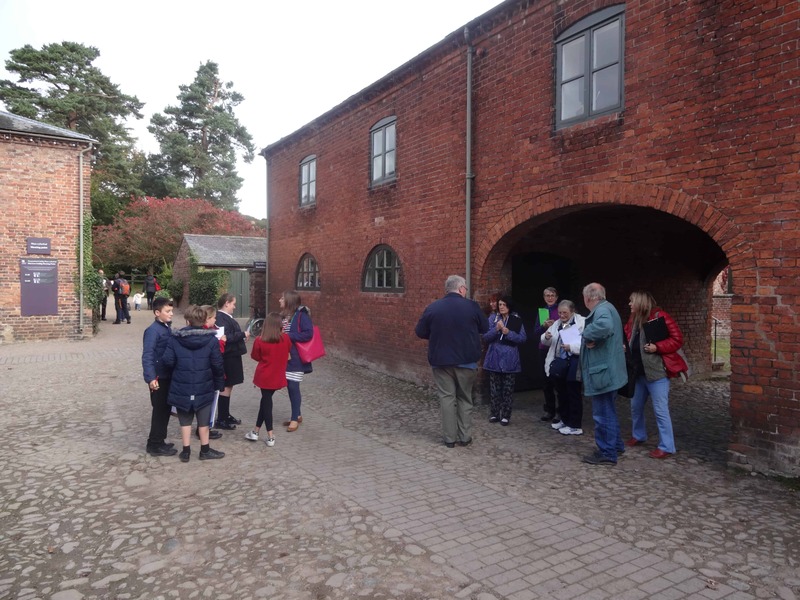 As part of this project local school children and welsh learners also wrote poetry inspired by Erddig a copy of which will shortly be available in a booklet from the ticket office. 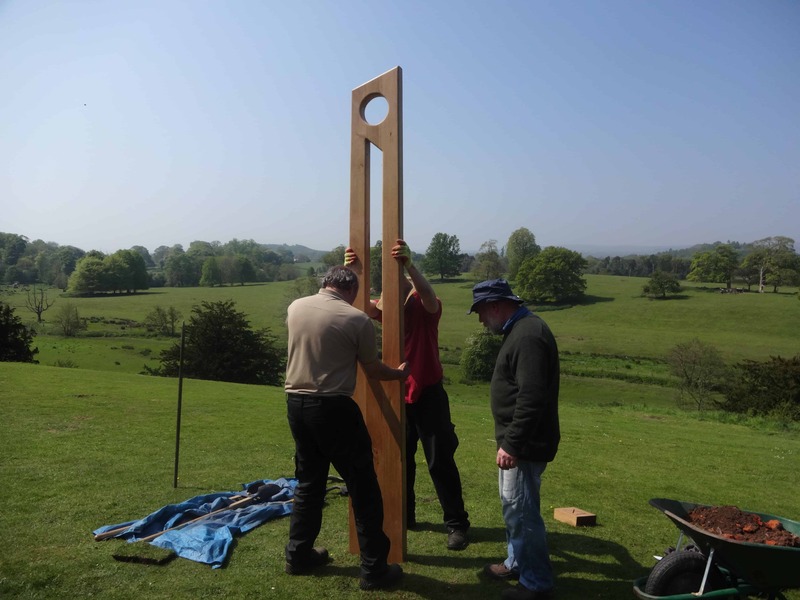 Thanks to Graeme and Hilary for running the project and creating the sculpture, the garden team for their help with the installation and all the staff and volunteers involved in creating the glass.Watch our timelapse video of the sculpture being installed.